Buying or Selling Property in Atlantic Beach? Buying or Selling a property in Atlantic Beach or the Crystal Coast Area? A real estate agent who is familiar with Atlantic Beach and the Crystal Coast neighborhoods is imperative to getting to the closing table without interruption. I've helped families purchase and sell in Atlantic Beach and surrounding areas for years, and I am ready to help you. And don't forget, you'll want a REALTOR who understands the convenience of technology without losing the personal touch. When you are ready to get started just contact me. I am happy to answer any questions you have about homes for sale in Atantic Beach. Are you looking to relocate or make a lifestyle change? Then you should consider "The Beautiful Crystal Coast" in North Carolina. I like to think of our area as " A little Piece of Paradise." 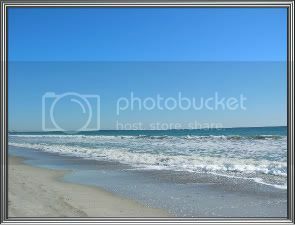 I can guarantee that once you visit the Crystal Coast,you will be back to smell the fresh salt air and possibly move here as a permanent resident.There is a magnetism that draws visitors back to the crystal clear waters,the Carolina blue skys,the sandy white beaches and the slower pace of life that we all are searching for. Click on the link and view the Crystal Coast MLS. This is the Multiple Listing Service that allows you to view all Crystal Coast Homes for Sale. Have fun viewing these and contact me with any questions. Whether you are looking for the perfect Beach home or you prefer the Mainland, you will need all the tools and knowledge available to make the best informed real estate decision. By securing my services, you can be certain your best interests will be represented. Please visit my website to learn more about Carteret County and all it has to offer. The Crystal Coast Areas Include:Atlantic Beach, Pine Knoll Shores,Salter Path, Emerald Isle, Swansboro, Morehead City, Beaufort, Down East, Newport, Havelock and New Bern. When you visit the Crystal Coast, be prepared to stay, because you just may never want to leave. Don't settle for anything but the best when it comes to purchasing or selling a property. This is one of the biggest investments you will make in a life time. You need a full time realtor who knows the changing market conditions, knows the Crystal Coast area well, has a web presence, keeps up with the market trends and statistics and has all innovative tools to make your transaction successful and profitable. Whether you are buying or selling, please contact me so I can give you the tools necessary to make a sound decision. Thank you for visiting my blog and feel free to search for your dream home on the Carteret County MLS/Crystal Coast MLS. This is the multilple listing service which lets you view all the active homes for sale. Remember that I can show you any home for sale in Carteret or Craven Counties. I can also put you on an automatic search for homes that match your criteria. That way you will recieve all the new listings as they come on the market. You want to be ahead of the game. My informtion is below and feel free to contact me with any questions. If you have an experience working with Bluewater Real Estate and would like to share it with others, please write a review or a short feedback.